﻿ Best Price on Catcha Falling Star Gardens in Negril + Reviews! Set in attractive gardens, Catcha Falling Star Gardens is located next to Negril’s West End Cliffs, right across the road from the beautiful Caribbean Sea. It features an outdoor swimming pool and charming suites with garden views. Each suite at Catcha Falling Star Gardens has simple, Caribbean-style décor and a spacious veranda with a hammock. There is a living area with cable TV, a fridge and a ceiling fan. 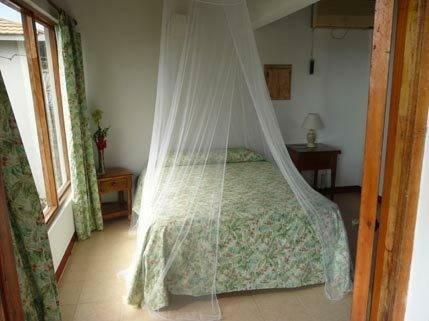 The villa includes a room with 2 double beds, and a fully equipped bathroom. Shops, bars and restaurants can be found within a short walk of the villas. The center of Negril is just 1.2 mi away, while the popular 7 Mile Beach is a 10-minute drive away. Orange Bay and Savanna La Mar can be reached in 30 minutes by car. Montego Bay and Sangster International Airport are approximately 53 mi from the Catcha Falling Star. This property isn't connected to Catch a Falling Star and even though it has the same owner they offer no reciprocity to the cliff side property. The Gardens property, in my opinion, would be fine for the cost conscience, earthy type traveler.